Janice Hodson received her B.S. in Accounting from the University of Tennessee in 1991 and became a Certified Public Accountant in 1992. She worked in public accounting for 10 years, prior to holding various middle and senior level management positions in the manufacturing industry. Janice also served as CFO for KLW Plastics, a KODA portfolio company since 2004. 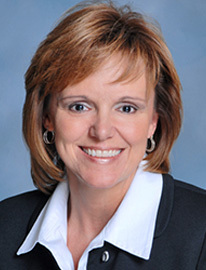 In 2013, she was a finalist for the Cincinnati Business Courier’s CFO of the Year Award. As Director of Corporate Development, Janice works with the principles of KODA to identify target companies that are a good fit with KODA’s investment criteria and then facilitates getting the deals closed in an effective and timely manner.